Despite a relatively down year with respect to investment and production capacity expansion, the biofuels industry grew modestly in 2012, continuing a shift from first generation facilities to next generation, advanced biorefineries. Although it was a year of challenges for corn starch ethanol production in particular, the industry proved its mettle against persistent drought across the U.S. Midwest that led the UN to call for a scale back of biofuel production mandates. Meanwhile, biodiesel production — particularly across the U.S. and within the fast-growing renewable diesel segment — saw expanding production. For the advanced biofuels category, it was a year of milestones as KiOR, Ineos Bio, and other emerging companies commenced commercial production at highly anticipated next generation biorefinery facilities. But as the industry transitions towards advanced biofuels, many questions remain for 2013. At the top of the list, forecasts pointing to a “Western Hemi” oil and gas bonanza have turned many assumptions about the global biofuels industry on its head. Accounting for just over 70% of global biofuels production, by many analysts’ calculations, the U.S. and Brazil appear to be awash in oil and gas, forcing the biofuels industry in these key markets to prove tangible value beyond mostly theoretical exercises focused on energy security up to this point. Trend: Oil Majors double down on “Golden Age of Gas” while narrowing investments across the advanced biofuel space. An early strategic investor in the advanced biofuels industry, global oil majors have begun trimming excess fat from their biofuel investment portfolios over the past couple of years. BP, a leading investor in the biofuels industry, pulled out of its commercial Highlands Park project in Florida in October 2012 to refocus on R&D efforts. Shell, meanwhile, has dropped a number of investments across the advanced biofuels landscape, concentrating its commercialization efforts on its Raizen joint venture with Cosan in Brazil. 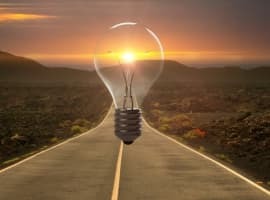 Similar investment shifts have coincided with a shale gas glut that may mark the beginning of what the International Energy Agency (IEA) is calling the ‘Golden Age of Gas.’ The Agency predicts that over the next 25 years gas will be the fastest-growing energy source leading some energy experts to predict that gas could displace oil in the transportation sector. Although a major overhaul of natural gas infrastructure is unlikely in the near-term, in an era of cheap gas, relatively expense biomass conversion technologies will face a steeper uphill battle to price parity. Accordingly, we expect more of the same biofuels retrenchment among oil majors in 2013. Trend: Although installed biorefinery production capacity is expected to reach 38.3 billion gallons per year (bgy), exceeding mandated biofuels consumption by 1.2 bgy, actual biofuels production is expected to lag mandates by 3.7 bgy. In recent years, new biorefinery construction has declined rapidly, with new facility commissions dropping from a 2008/2009 high of 30 in the U.S. to fewer than 10 in 2012. Advanced biorefineries are marching decisively down the road to scale, but have yet to match the biorefinery boom of the last decade. Meanwhile, global biofuels consumption mandates continue to put pressure on the advanced biofuels industry to keep pace with growing demand for alternative fuels. Sagging production in 2013 will be less a function of industry malaise, and more a combination of industry consolidation, irresolute policy momentum, production of higher value bio-based chemicals, and the retrofitting of brownfield facilities. 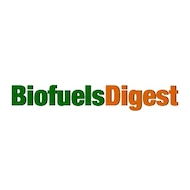 As the current decade comes to a close in 2020, however, 2013 is likely to mark the point at which the advanced biofuel industry gained its sea legs and decisive investments among strategic investors laid the foundation for future growth. Trend: Among advanced biofuels, renewable diesel continues to spearhead advanced biorefinery scale-up account for over 50 percent of new biorefinery capacity built in 2013. Among advanced biofuel conversion pathways, the hydroprocessing of fats, oils, and greases has proven to be one of the most bankable conversion platforms over the past couple years. These facilities boast larger average capacities than their conventional diesel counterparts, taking better advantage of economies of scale. While feedstock access remains a concern, based on public data, renewable diesel facilities are currently being built at between $2 and $4 CAPEX per gallon, compared to more than $10 per gallon for most cellulosic and thermochemical-based pathways. Although Pike Research’s report, Clean Diesel Vehicles, forecasts that clean diesel vehicles will capture a slightly higher percentage of new light and medium duty U.S. vehicle sales than hybrids, even with sustained growth in renewable diesel production, volumes are likely to still be a drop in the overall fuel bucket. With diesel confined to niche vehicle fuel status in the U.S., renewable diesel’s upside lies with heavy duty vehicle and aviation biofuel markets. Trend: MSW and waste industrial gas projects will continue to gain traction globally. Among advanced biofuel feedstocks, waste is currently the king of the heap. Although 2012 saw promising ventures like Terrabon succumb to bankruptcy, both Municipal Solid Waste (MSW) and waste industrial gases are benefitting from a surge of investment and R&D focus, with key partnerships across the waste value chain announced in the U.S., China, and India. 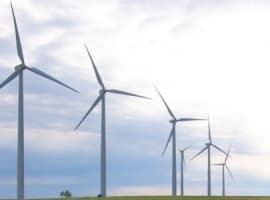 Leading the way are companies like Ineos Bio, Fulcrum BioEnergy, and LanzaTech, all barreling towards widespread scale-up. Ineos Bio’s Vero Beach facility is an important milestone for MSW-based feedstock, demonstrating the viability of co-producing ethanol and power for the grid at scale. If project economics hold up, an increase in investment around MSW is likely to follow. 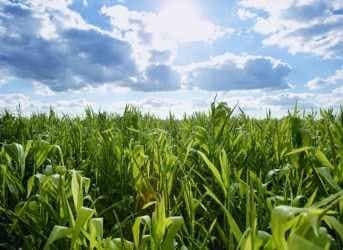 On the other side of the country, Fulcrum Bioenergy is aiming to produce 10 mgy of ethanol from waste by the end of 2013 at its first commercial facility in Nevada. Focused primarily on the Asian market and striking key partnerships with major industrial companies across India and China, LanzaTech is pursuing a relatively flat runway to commercialization with little geographical or feedstock competition at the moment. In 2013, the company is expected to continue inking partnerships across Asia Pacific while making significant strides towards commercial scale-up. Trend: Feedstock sustainability concerns will continue to erode support for biofuel mandates like the EU’s Renewable Energy Directive (RED) and drive an expansion of subnational regimes like California’s Low Carbon Fuel Standard (LCFS) into new markets. With an oil and gas bonanza underway in the Western Hemisphere, experts across the energy landscape are anticipating a rebalancing of the geopolitical landscape. 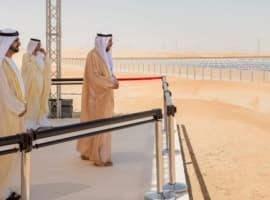 A report published by the Chatham House in October argues that declining oil imports from the Middle East to the U.S. could potentially shift the onus of policing the flow of oil from the Persian Gulf from Western powers to oil-thirsty countries throughout Asia Pacific. The implications are many — namely, a shrinking dependency on alternative fuels to provide energy security within the U.S. and Brazil — with the biofuels industries potentially losing their primary raison d’etre. With more oil and gas production on the horizon, these countries are seeing more hydrocarbon options to lubricate their growing economies. The result? Biofuel production juggernauts like the U.S. and Brazil are seeing more wiggle room to be more selective about how biofuels are produced and at what cost. While rising oil prices will continue to impact the global economy and its fragile recovery, sustainability is likely to be a key differentiator among feedstock and biofuel pathways in 2013. Mackinnon Lawrence is a Senior Research Analyst at Pike Research, a part of Navigant. He contributes to the firm’s Smart Energy practice, with a focus on biofuels and emerging renewables.